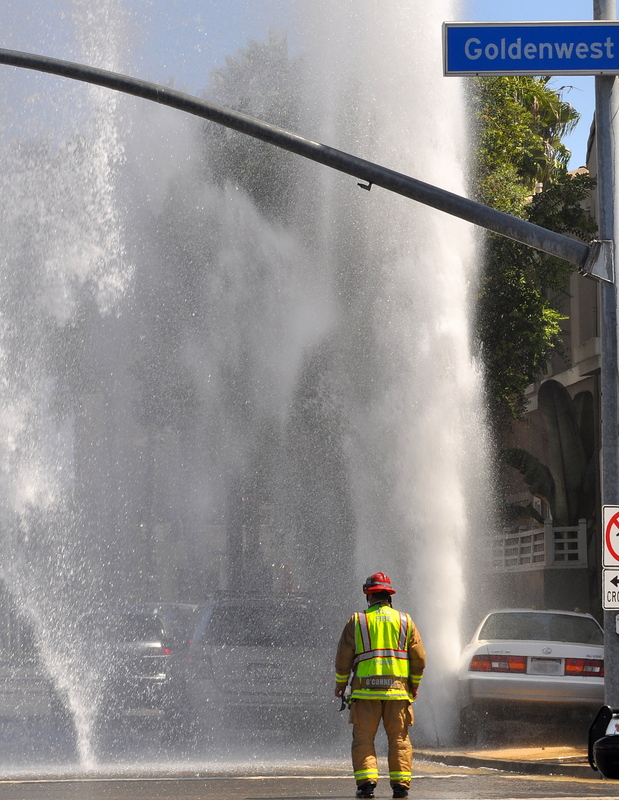 Huntington Beach Fire Department responding to an accident at Palm and Goldenwest. The Lexus took out the fire hydrant. 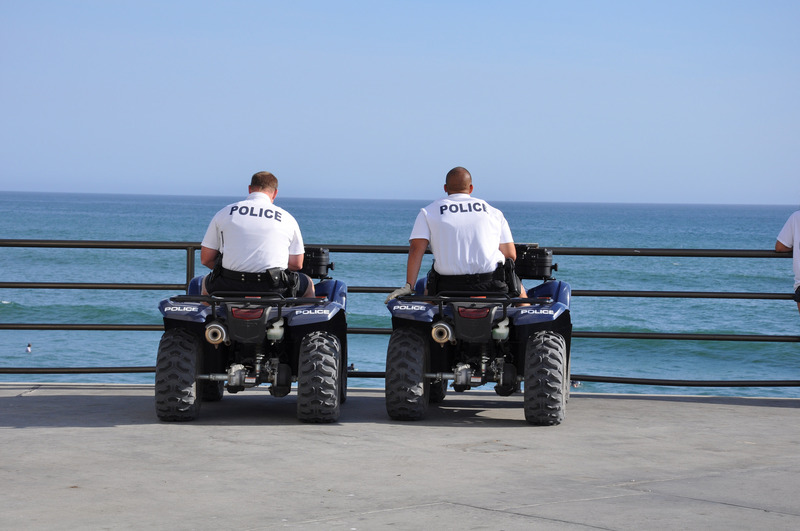 The Huntington Beach Police Department not only patrols in cars and on motorcycles they also have ATVs. These are useful in patrolling our several miles of sandy beach—oh, and taking a rest on the pier from all of that strenuous patrolling. 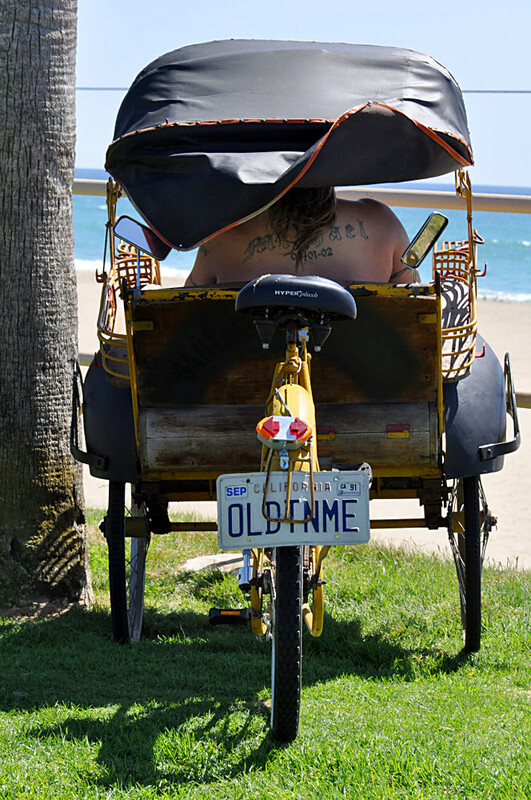 The backside of a bicycle/tricycle that has its own lounge chair.